An improvement on the classic “Part A” formula for general vegetative growing. 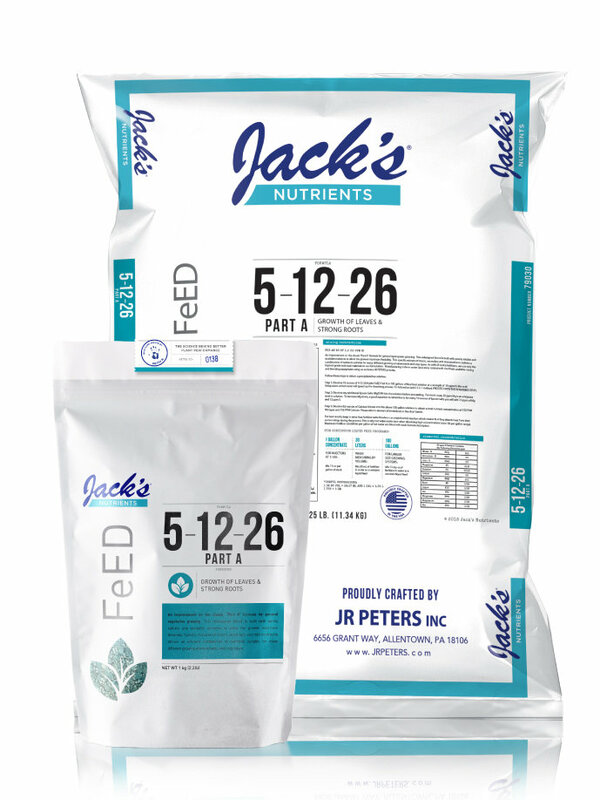 This redesigned blend is built with purely soluble and available nutrients to allow the grower maximum flexibility. Specific balance of macro, secondary and micronutrients delivers an efficient combination of nutrients suitable for many different growing environments and crop types. 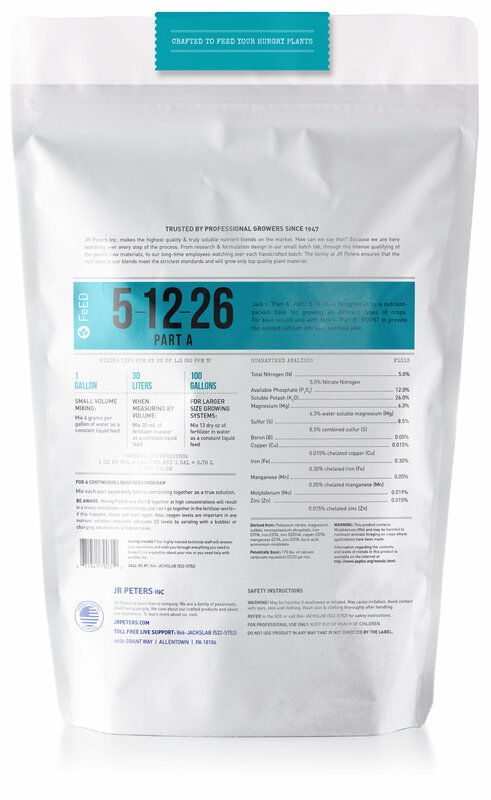 This formula was designed as a base foundation for hydroponic growing. 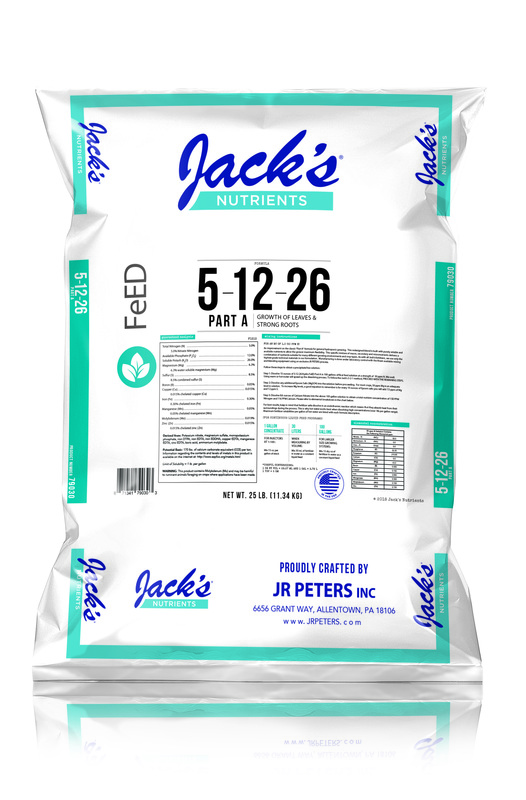 It can be manipulated in such a manner as to provide virtually any combination of nutrient levels desired, providing the highest availability to plants, due primarily to Jack’s has proven ability to remain in true solution over long periods of time. Should be used in combination with the “Part B” (15-0-0 Calcium Nitrate) in a two-part system.